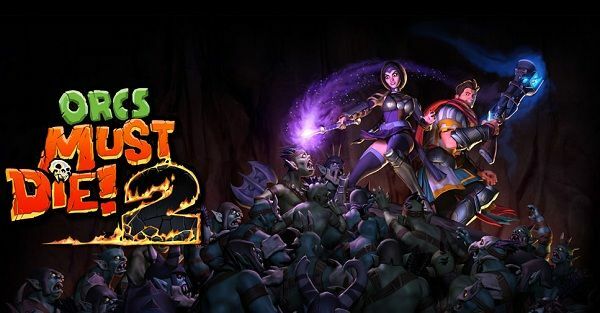 Orcs Must Die 2 has just been released on Steam and has already proven that it’s a very popular sequel of the original game. This time, Orcs Must Die 2 comes with a set of achievements that we can unlock on Steam: 26 of them to be precise and even though I am sure that many gamers would’ve loved even more achievements from the game, we’ll have to deal with what we have. And I am here to share with you a guide to the Orcs Must Die 2 achievements, so check them out below! 1. I Could Do This All Day — Kill 25,000 Orcs. 2. May I Have Some More? — Kill 50,000 Orcs. 3. Halfway There — Complete Campaign, Act 1. 4. Restoring Order — Complete Campaign, Act 2. 5. Tough Going — Complete Campaign, Act 1 Nightmare. 6. I’m So Awesome — Complete Campaign, Act 2 Nightmare. 7. Stay Classy — Complete all classic levels. 8. Predator — Collect 30 dropped skulls. 9. They Just Keep Coming — Reach wave 25 in an endless mode level. 10. Impossible — Reach wave 50 in an endless mode level. 11. BFFs — Reach wave 40 in a co-op endless mode level. 12. Friends ‘Till the End — Complete Twisted Halls in co-op. 13. Thanks Bro — Heal an ally in co-op. 14. Freedom! — Use the freedom trinket to break a co-op partner out of a stun. 15. Perfectionist — Earn 5 (base) skulls on every campaign level on War Mage difficulty. 16. Droppin’ Hamiltons — Spend 10 skulls in the tome. 17. Big Spender — Spend 100 skulls in the tome. 18. Cash Money Skulls — Spend 1000 skulls in the tome. 19. Ten at Once — Get a 10 kill streak. 20. MMMMONSTER KILL! — Get a 25 kill streak. 21. Kingdom Rush — Beat a nightmare level using only weapons, trinkets, and the dwarf, archer, and paladin minions. 22. Pot of Gold — Get a 10x or higher combo. 23. Queen of the Orcs — Charm 100 orcs as the Sorceress. 24. All Aboard — Kill 1,000 orcs with minecarts. 25. Indecisive — Respec your character. 26. What is Best in Life? — Use the berserker trinket to reduce your health to 15%. Good luck in your quest of trying to unlock all the achievements in the game!